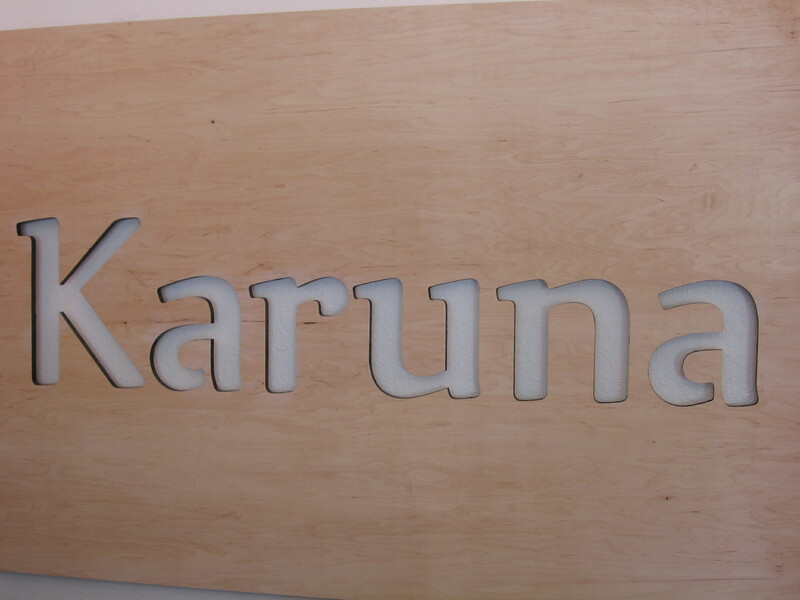 I opened Karuna on Tuesday, June 2nd. There was a light rain and I realized that I hadn't gotten a door mat yet. Fortunately, Karuna is directly across the street from one of the best hardware stores in the city, True Value. One of the nicest things about True Value from my perspective is it's extensive garden and numerous red leafed trees. I often end up gazing outside at that beautiful landscape when I need a little time for daydreaming. Karuna is a gift shop that strives to be in harmony with the environment, both inner and outer; some of the offerings are handcrafted fair trade jewelry made in Indonesia (www.verawolf.com), hemp yoga straps, eco hybrid yoga mats (www.barefoot.com), Karuna brand meditation cushions made in Portland, all cotton Sure design clothing from Thailand and books to enlighten and inspire ("Loving-Kindness" Sharon Salzberg). The day that I was approved for my loan through Mercy Corps NW I was told that they had a new pilot project with the U of O School of Architecture and that a couple of grad students were going to help me with the design of my space. I didn't think much of it but Lindsay and Hillary and their teacher Drew changed my life. Below is the light installation that, in addition to designing the entire store, they designed and created for class credit. I have had many gifts in the process of Karuna to life and this was one of the biggest ones!